Veggies + legumes + rice always make a wonderful and a healthy combination. 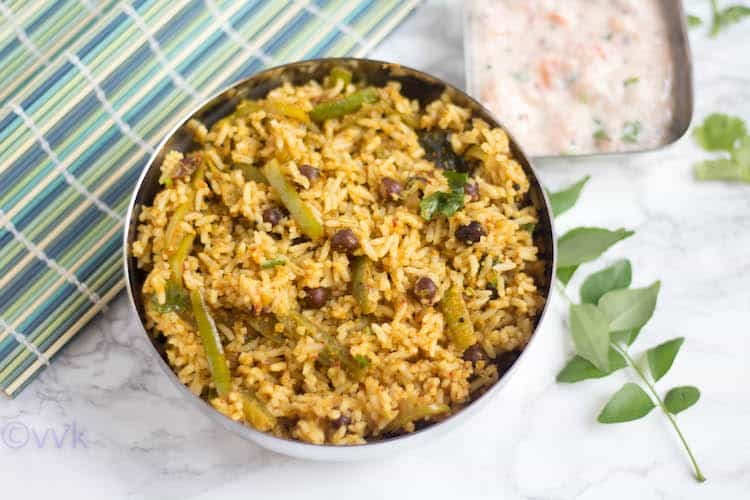 Today I am going to combine Ivygourd or Tindora and Black chickpeas to make this drool-worthy Mangalorean curry called – Kadale Manoli, and when you mix rice with that, you get Kadale Manoli Rice. It’s a Mangalorean delicacy prepared with ivy gourd and black chickpeas with fresh ground coconut masala. It’s a curry dish, but I mix it with rice and make it as variety rice. 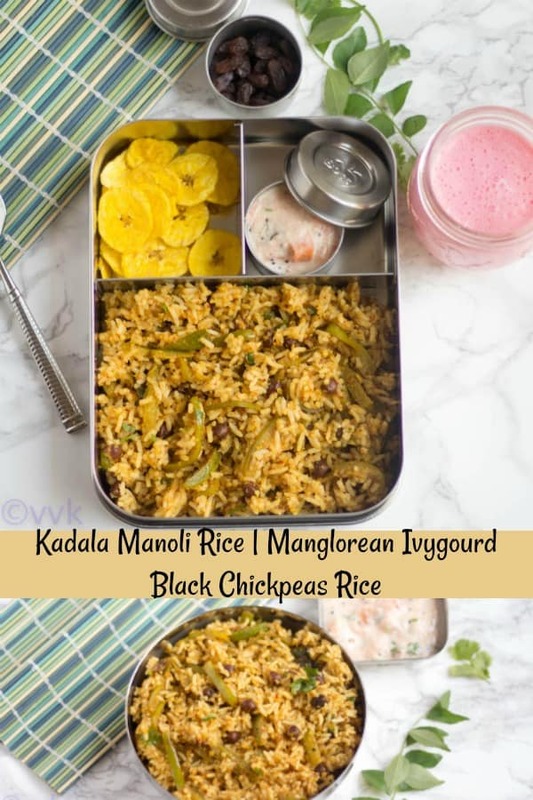 :-) Here comes the detailed Kadale Manole Rice recipe with step-wise picture collages! I am always fascinated with the Konkani, Mangalore and Goan cuisines. A couple of years ago, while browsing through youtube recipes, I stumbled upon this recipe and tried it right away. 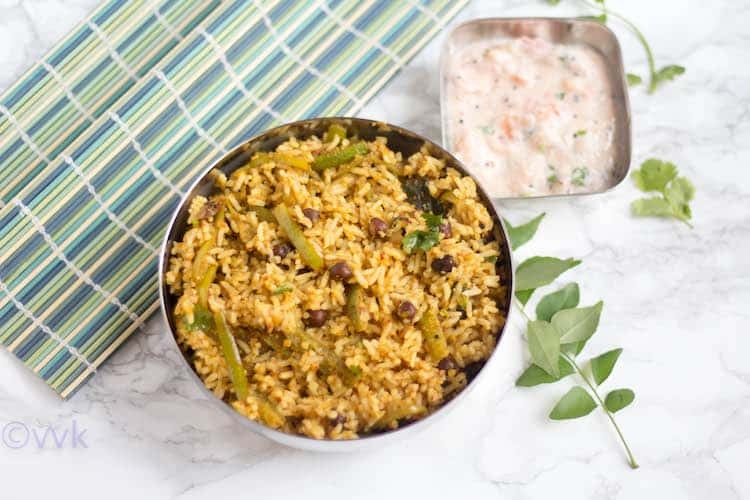 We loved it a lot, and we had it as a side for rasam rice. 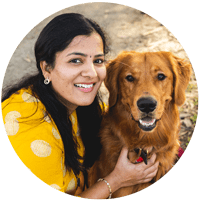 Vaandu loves kootu, and I usually mix kootu with rice and ghee for him. Even though it’s a dry curry, I tried the same, and he liked it. Sometimes, he patiently removes all the tindora pieces though but finishes off the rice. Nothing can beat the aroma and taste of fresh ground spices, and that’s what makes this curry/rice distinct as well as delicious. The ingredients and process might sound lengthy, but believe me, it is not difficult at all. But it needs some planning. Once you have chopped tindora and cooked chickpeas, you can quickly whip this curry. 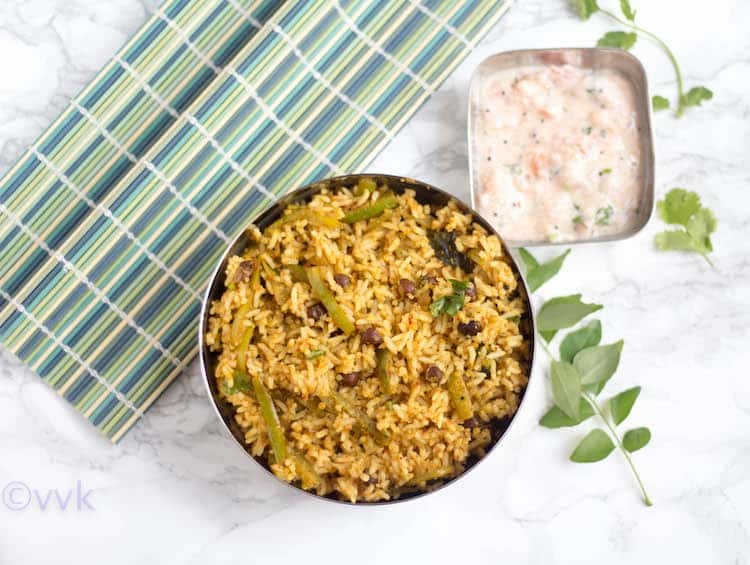 So without any further ado, here is the delicious Mangalorean Kadale Manoli Rice Recipe. 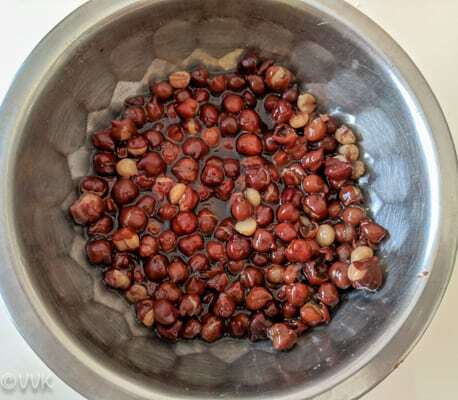 Wash the black chickpeas and soak it for at least 6 hours. Pressure cook it by adding 1.5 cups of water for three whistles. Let the pressure release and drain the water and set the chickpeas aside. Clean and trim the edges of ivy gourd and chop them vertically. I used about 3 cups of chopped ivy gourd for this recipe. If using fresh coconut, then grate about 1/3 cup of coconut and set aside. If using frozen coconut, then thaw the required amount and set aside. Cook the rice in your preferred way by adding three cups of water. Allow it cool. Take all the ingredients given under “to grind” except coconut and grind it into a coarse paste by adding 2 tbsps of water. Now add the coconut and grind it into a smooth paste. If required, add two more tbsps of water. When the oil is hot, add the mustard seeds and curry leaves. As it splutters, add the chopped garlic and onion and cook until onion turns translucent. Then add the ground masala, salt, and turmeric. I used the 1/4 cup of water to rinse the mixer jar and added that water as well. Now cook until the moisture is absorbed and the raw smell weans. At this stage add the ivy gourd and mix it thoroughly. Cover and cook for 5 minutes and then remove the lid and cook for three more minutes until the ivy gourd is soft and tender. Add the cooked chickpeas at this stage and cook until the water is all evaporated. Turn off the heat and add the rice and mix well. Finally, add some cilantro and serve with chips or any raita. I served it with the tomato-coconut raita. Kadale Manoli is a side dish. So you can serve it as a side for dal, rasam, and sambar. But I mixed it with rice for lunch box. It is not mandatory. The original recipe calls for more garlic, but I just went with one. The masala is very versatile and you can prepare similar curry with other vegetables as well. Take all the ingredients given under "to grind" except coconut and grind it into a coarse paste by adding 2 tbsps of water. 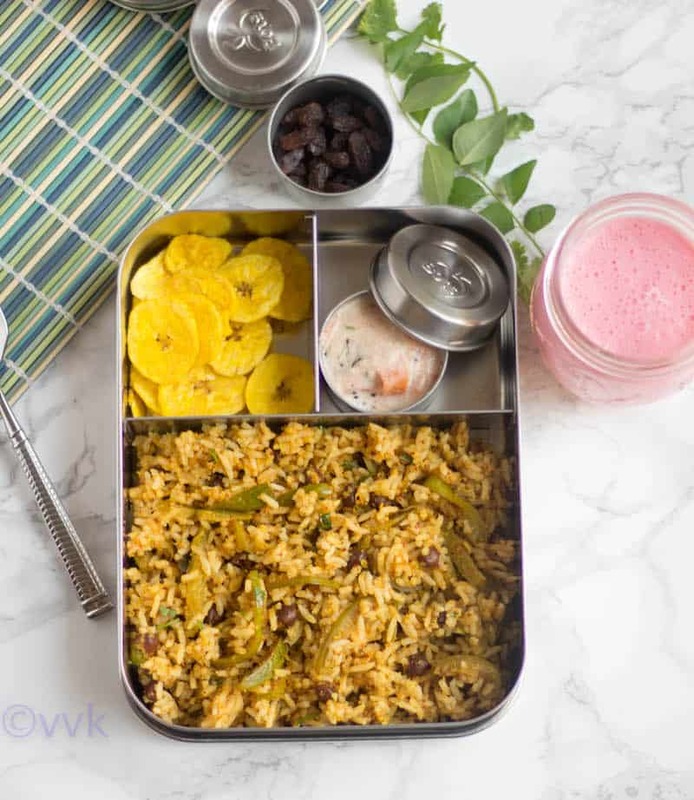 Perfect and healthy rice recipe for lunchbox… Awesome choice. 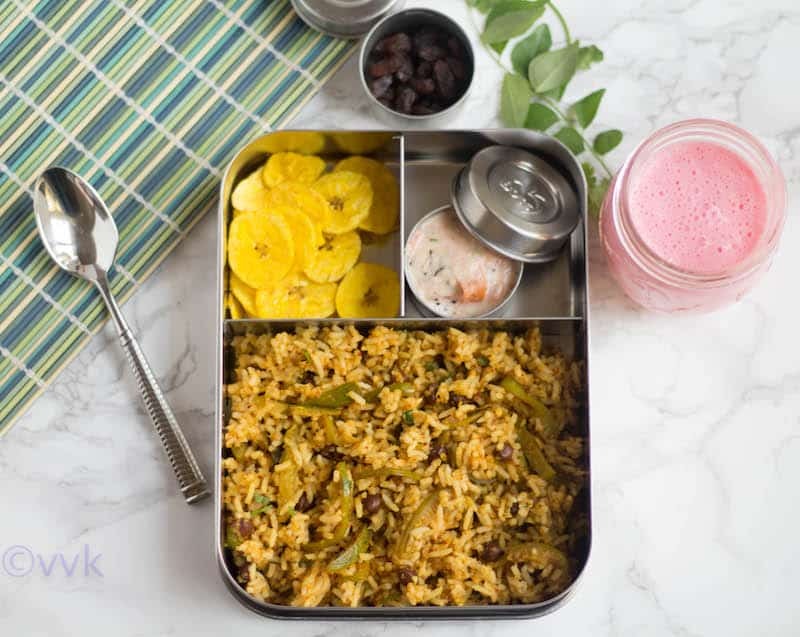 I too used to pack a curry rice for my son’s lunch box when I ran out of ideas. That spicy paste defintely adds a wonderful base to any curry and I can understand how delicious this curry might be. What a great choice to use karuppu kadalai. I love black chana more than the white ones and this looks so delicious. I am definitely adding some next time I make masala Bhath. Dishes prepared with freshly ground paste are way more tastier than the ones that use masala powders. This dish look and sounds delicious.Lovely lunch box! wow, i m drooling, that masala sounds yumm! 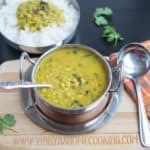 adding chickpeas to ivygourd an unique combo, though i make ivy gourd rice, but this method totally different! bookmarking this to try. Mixed rice like these are such a blessing for weekdays, makes a great variety from the regular rice. Oh yeah, mixed rice are my goto options on weekdays always. 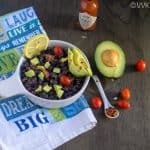 I love black chickpeas and a rice with it is something I would love to try. I am loving the flavorful freshly ground spice, it must be giving such a wonderful flavor..awesome. Will try the rice asap. That’s an unusual combination of chana and ivy gourds. Love how you used the curry to make it into a flavorful and filling rice dish. This is such a healthy option Srividhya, amazing your son loves this!.. Thanks Valli. He at times surprises me a lot. 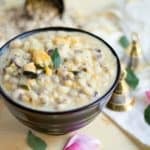 This masala Rice looks yummy.. Love Ivygourd as a side dish and this one with rice is such a delight.. Pass me that lunch box.. Will finish it happily.. The combination of tindora and kala chana with the spices sounds very flavorful. Bookmarked ! I am sure we would love the flavors in there. That is a delicious curry with tindora and black chana. I love the masala that you used — freshly ground coconut and spices make any dish extra special. I’m bookmarking this dish to try some time soon. 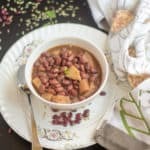 I tried it without chickpeas and it turned out great. I have some left overs too that I can mix with rice on a weekday. Easy lunch 😀. Thanks hey. Nxt time i got to try with chick peas. This rice must be so flavourful because of the fresh spice paste added to it. That is a nice pick for the alphabet K. It looks wonderful. 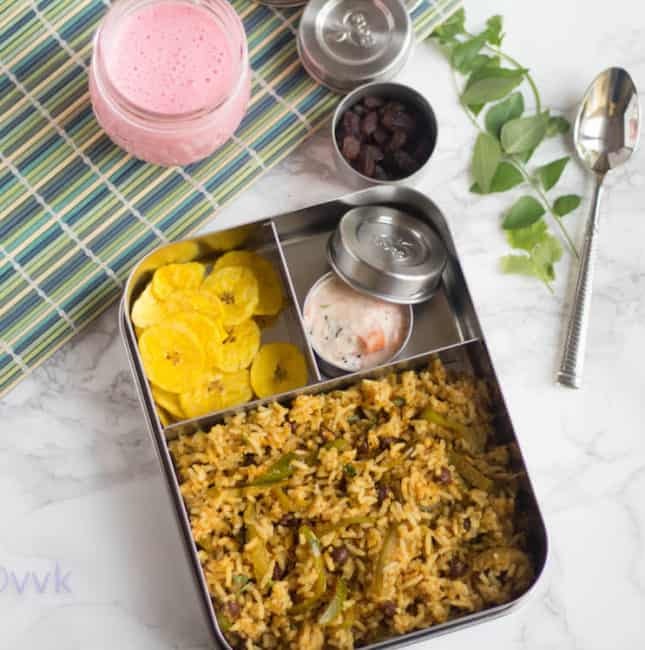 Such an interesting combo for making kid’s friendly lunch box meal, amazing and am sure this rice dish is definitely very healthy and nutritious. Prefect to pack in anyone’s lunch box. First time hearing about this Kadale manoli curry. It sounds so flavorful and delicious, along with rice, it must be tasty !!! 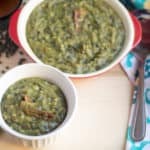 Love the flavor get into Kadale manoli.Ivygourd & chickpea are such a unique combination!! !